The final investment decision for the LNG Canada project is 18 to 24 months ahead, Andy Calitz, CEO LNG Canada said Wednesday. Calitz said that the project must go through a series of what are called “stage gates” before the respective corporate boards of the partners make that decision. Calitz said the project has already completed three stages, identifying the project, testing the idea, selecting what exactly the proponents are going to do. “Then there is the so-called design stage when all the design experts come in. We are hundred per cent certain we are tackling the next phase.” It is when the design phase is complete and then depending on world market conditions, that the final investment decision will be made. Caltiz also pointed to one reason that while the LNG Canada project is moving ahead slowly,it appears to be moving faster than the rival Chevron-Apache Kitimat LNG project. That’s because the four investors in the LNG Canada project, Shell, PetroChina, Mitsubishi and KoGas (Korea Gas) are the customers, shipping their own product via the proposed TransCanada Coastal Gaslink pipeline, to the jointly owned terminal that will be built on the old Methanex site in Kitimat. Caltiz’s comments came at a Vancouver news conference called to announce a joint venture agreement between the four partners. Under today’s agreement, Shell has increased its stake in the project to 50 per cent from 40 per cent; PetroChina will hold 20 per cent and each of Kogas and Mitsubishi Corporation holding 15 per cent. PetroChina and Shell increased their holdings by buying from the other partners. One reason, along with the volatility and uncertainty of the liquified natural gas market that the Chevron Apache Kitmat LNG project appears to have stalled is a lack of customers. Kitimat LNG has said it is looking for equity partners similar to what was said today about the LNG Canada project. While it may be reading too much into one statement, it appears that LNG Canada and its partners are taking a more careful approach to pipeline construction than the Enbridge Northern Gateway project where that company was always certain its plans for crossing the rugged northwest BC mountains would yield few problems. 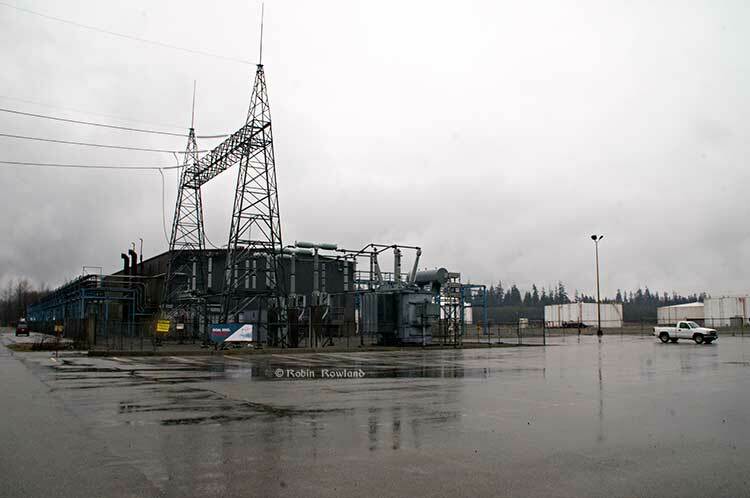 The other major factor governing any decision on LNG plants in British Columbia is the volatile marketplace. Reporters at the Vancouver news conference asked Caltiz about reported talks between China and Russia where Russia, now facing economic sanctions for its actions against Ukraine, would ship natural gas to China and if that would affect BC plans to export LNG to China. That state of prices remains a concern among reports that several Asian nations including the giants India and China plan to form a sort of buyers club, to drive down the high price of natural gas, which in Asia is a percentage of the price of crude oil, while in North America, market conditions have driven the price of natural gas much lower. “There is a very active daily debate about prices paid for LNG in Asia. That debate, I am sure, will continue as long as the Henry Hub [the North America market price] is at $4 and Europe is at $8 and Asia based is somewhat from 12 to 18 dollars, depending on whether its contract or spot. “If you ask is that of concern, then every project here will be affected by changes in price, whether the price goes up or down. will impact the final investment decision and it will impact in the way say the Pacific Northwest or the Kitimat LNG project. Premier Christy Clark, who made a brief appearance at the news conference before leaving to a prepare for another sales trip to Asia, was more optimistic, saying: “The private sector doesn’t make billion dollar investment decisions if they don’t think there isn’t going to be a return on it. It’s not for me … to determine what the market looks like, it’s the private sector that does that and I think the answer to them is you would not see those major companies taking the next step signing a joint venture agreement today if they didn’t think there was a market for BC gas. Asked by a reporter about LNG projects using temporary foreign workers, Clark replied. “The thing about temporary foreign workers is that temporary workers should come for temporary jobs, And in the process of building these huge facilities and pipelines with peaks in construction that we will not be able to meet within British Columbia or even Canada. There’s no question about that. “Our view is very much British Columbians first, and the way to do that is to make sure people have all the skills training that they need to take advantage of those jobs, second reach out to the rest of the country and then third work with the unions and other organizations when needed to support temporary foreign workers coming in. 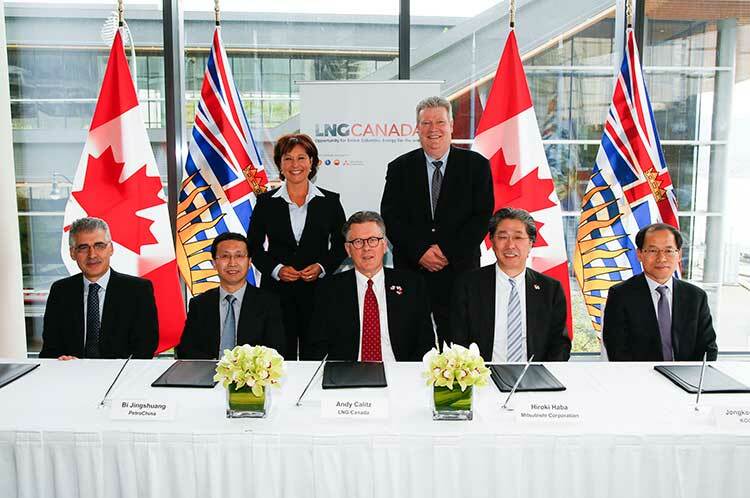 The news release listed the many LNG projects under way from the four partners. with an additional 7.5 mtpa under construction. Shell is also one of the largest LNG vessel operators in the world, with interests in around a quarter of the LNG vessels in operation. which started operations in the first half of 2011. Kogas Canada LNG is the world’s largest LNG importer. As the nation’s sole LNG provider, KOGAS currently operates three LNG terminals and a nationwide pipeline network, supplying natural gas fromaround the world to power generation plants, gas-utility companies and city gas companies throughout the country. Since pioneering the first LNG import to Japan from Alaska in 1969, Mistubishi handles 40 per cent of Japan’s LNG imports and has successfully built a portfolio of LNG export investments across Australia, Indonesia, Malaysia, Brunei, Oman, Russia and North America. With the joint venture agreement, the group has incorporated a new federal corporation, LNG Canada Development Inc. The project’s corporate offices will continue to be located in Vancouver and Calgary, with the project office based in Kitimat. Although pegged as a “major milestone” in the development of LNG Canada, the Kitimat social media rumour mill was correct in speculation Tuesday that the news conference concerned a corporate name change and sale of assets. The event was probably more a kickoff for Christy Clark’s upcoming tour of Asia.